Hello to all. Well, another Summer has past us by. Where does the time go? It feels like Summer has barely begun and now we are preparing for Easter. This article will focus on events and figures over the three-month Summer period that has just finished. During this period, there were 49 policing occurrences in Montville and 41 in Flaxton. This is an increase on the three month period before that which had figures of 41 policing occurrences in Montville and 30 in Flaxton. However, that is to be expected, as when the weather warms up, more things happen. What is more telling is the comparison with the same time last year. The Summer of 2017 – 18 had 43 policing occurrences in Montville and 28 in Flaxton. As you can see, this shows Montville remaining fairly steady but Flaxton having a significant increase. Throughout December, police in Palmwoods and Maleny received several reports of a female, possibly a Jehovah’s Witness, stealing various pamphlets, booklets and signs belonging to businesses in Montville and Maleny. Thanks to assistance from the people of Montville and Maleny, police were able to obtain a possible name and photograph of the suspect. It appears that this person was a visitor from interstate and has left the area. Enquiries are continuing in an effort to positively identify the offender. In early December, a large quantity of cash and a mobile phone were stolen from a private dwelling on Flaxton Drive, Flaxton. A 57-year-old woman from Brisbane has been charged with that offence. Also in early December, a 26-year-old man from Brisbane was charged with several drug offences whilst staying at an accommodation place in Flaxton. He was associated with the previously mentioned 57-year-old woman. On 13 January, a tourist from Brisbane had her car ‘keyed’ at Kondalilla Falls carpark. She had an earlier disagreement with another person over a parking issue and suspects this person of returning later and damaging her car whilst she was in the national park. Unfortunately, the victim did not obtain a registration number of the other person’s vehicle and this person remains unidentified. In early January, a domestic violence incident was reported to police from an address in Montville. 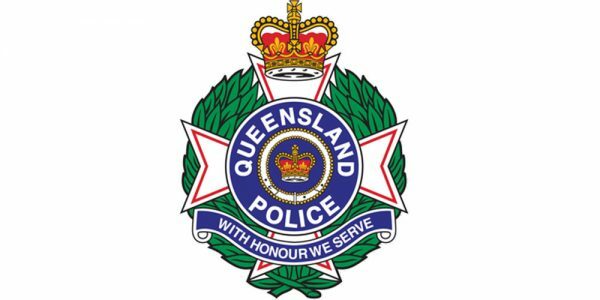 The matter was investigated, which resulted in a 43-year-old Brisbane man being charged with contravening a domestic violence protection order. Police have attended several other domestic violence matters in Montville and Flaxton which have resulted in police making application for a domestic violence protection order in one instance and referring people for counselling in several other instances. In late December, the Kondalilla Eco Resort made complaints regarding a cabin having been broken into and another cabin having been booked and used but not paid for. As a result, a 29-year-old Maroochydore woman was identified. She was subsequently charged with failing to pay for the room she stayed in. Unfortunately, there was insufficient evidence to charge her with breaking into the other cabin, although she was the main suspect. That matter remains unsolved. On 17 December, a 30-year-old Witta woman was charged with drug driving on Flaxton Drive, Flaxton. On 24 December, a 70-year-old Buderim man was charged with unlicensed driving on Flaxton Drive, Flaxton. On 26 December, a 21-year-old Buderim woman was charged with disqualified driving on Flaxton Drive, Flaxton. On 24 January, a 26-year-old Mapleton man was charged with drug driving on Western Avenue, Montville. On 9 February, a 31-year-old Frankston, Victoria, man was charged with drug driving on Main Street, Montville. An unfortunate, but amusing, incident occurred on 20 December. Two vehicles were traversing Palmwoods Montville Road, one going uphill (a car) and one going downhill (a large truck). I’m sure you can see where this is going. As they’ve come around one of the tight, narrow bends, they’ve side-swiped each other. Both vehicles came to a stop at opposite sides of the tight bend. Therefore, neither could see the other. Both vehicles waited for the other to return. After waiting for some time, both vehicles drove on. Each driver attended a police station to report the crash and to report that the other vehicle failed to stop. Police were able to match the two reports and merge them into the one. There was no allegation of speeding or reckless driving. It was just an unfortunate incident, and nobody has been charged. Police have received several complaints about the manner of driving of some vehicles on Flaxton Drive, Balmoral Road, Western Avenue and Palmwoods Montville Road. These complaints have come from other drivers and residents in these areas. Police will continue to patrol these areas and conduct traffic enforcement. Please obey the speed limit and drive carefully and to the prevailing conditions.